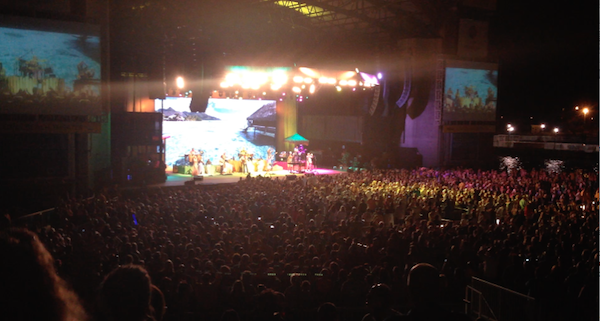 Jimmy Buffett fans, known as Parrotheads, descended on Jones Beach last week. I know it’s 5 o’clock somewhere, but it was 9am in the parking lot when we arrived at Jones Beach. Not to sunbath or surf, but for a concert that would not go off for another almost 12 hours. Jimmy Buffett played the Nikon at Jones Beach Theater last Thursday night, but the can’t-miss tailgate fans created started year at the crack of dawn. This bicycle-powered bar cruised around the parking lot all day. Jimmy Buffett’s fans call themselves Parrotheads, and the tailgate is their time to shine. But this isn’t just grilling burgers and playing corn hole. These fans put their creativity to the test to making tiki bars, shark costumes and decorating cars to create a Margaritaville vibe in the Jones beach parking lot. A homage to their musical hero. 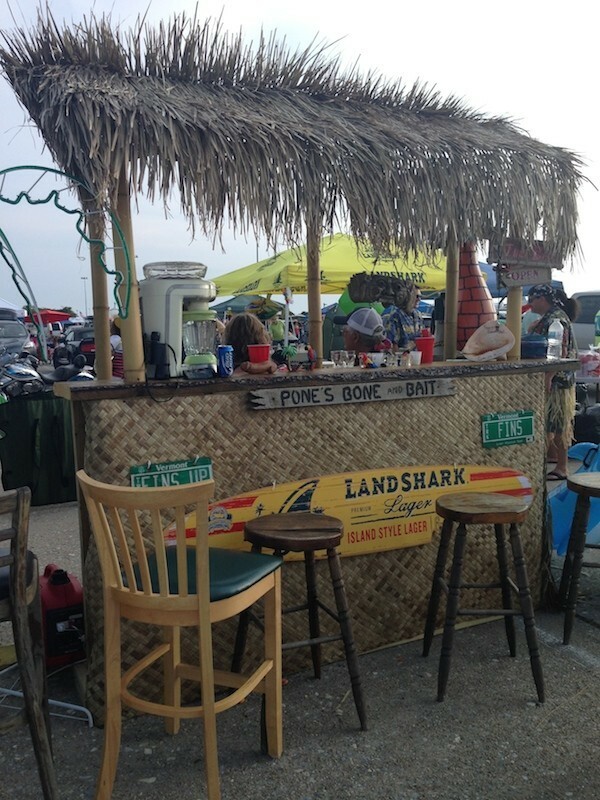 Tiki Bars are a guarantee at any Jimmy Buffett tailgate. Tyson and Justine Kostenbader rode around on a motorized cooler scooter. No cost, no scores, just a good time. The nine-hole Jimmy Buffett-themed mini golf course had visitors all day. When there was a lull on the course, I left to check out what was going on in the rest of the parking lot. The atmosphere in the parking lot was so lively that some people came just to the tailgate, even if they didn’t plan on going to the concert. Fay Gayle, of the Long Island Parrot Association, with Ruby, left, and Lucky. Not your average tailgate food. In case the main event was enough, live bands played mini concerts in the parking lot all day. Ed Podlesny and Bill Goerl’s created “Tiki Limo,” where they handed out leis, tropical sunglasses and frozen pineapple drinks to passerbys. “It’s like Boardy Barn for adults,” said Podlesny, a six-year Buffett concert veteran. 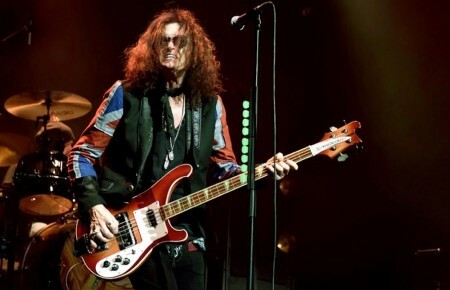 Last year was Goerl’s first time at Jones Beach for the concert. He only came down to tailgate last year, but ended up winning third-row tickets. “I was hooked for life,” he said. The Buffett Bus was hard to miss—a converted school bus painted with a tropical motif and complete with a rooftop patio. Joyce Amann said that her large family used a school bus as a camper growing up, and the Buffet Bus grew out of that tradition. The original Buffett Bus broke down just three weeks before the concert, but Amann said they were able to find a replacement and get it decorated in time. The family comes from all over the country to be at this concert every year, and it has become their annual family reunion, she said. Buffet Bus 2.0: the original bus, a staple at Jones beach Buffet concerts, broke down just three weeks before the concert.At a large façade of a wooden ship, I met the Buffett Pirates. 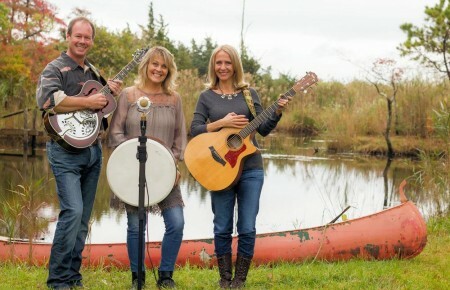 This family of Parrotheads are in a theatre company, and they brought the wooden ship used for play sets to the parking lot. People could pose for a picture at the helm. 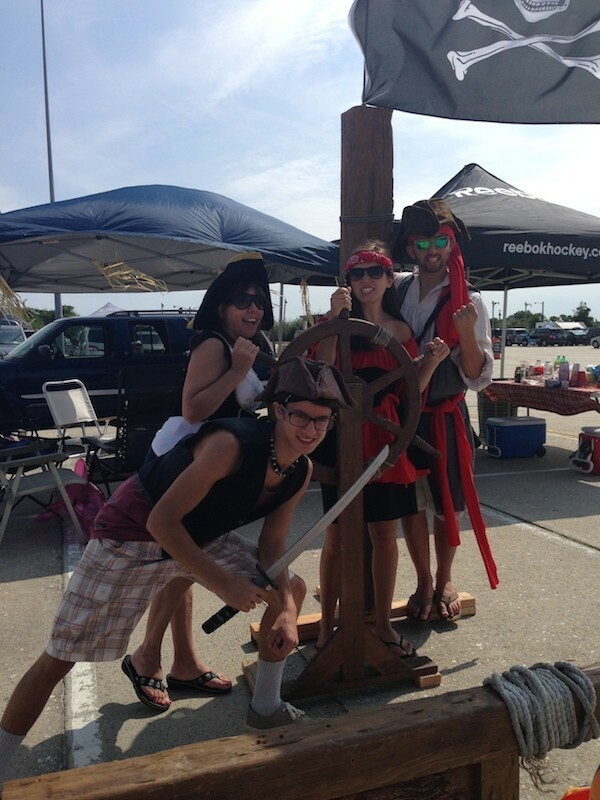 Teddy Plezia, left, Debbie Plezia, Katelyn Teed and Tom Kostin, called themselves the Buffett Pirates. As the concert drew near, Parrotheads packed up their tiki bars and headed off to enjoy the main event, fresh with ideas for next year’s tailgate. The reward for sitting in the parking lot all day, and the inspiration for all of the crazy creations.